Gold price pulled back to US$1,037 area whereas Brent crude retraced to 61.6 area as dollar registered its eight-day gain last night, despite clear dovish signal from the Fed in January’s FOMC meeting. Other G10 currencies – EUR, GBP, CAD, JPY – traded lower last night, extending losses against the greenback. There seemed to be a renewed wave of demand for dollar – a perceived safety currency, fuelled by policy uncertainties surrounding this week’s US-China trade talk, Brexit negotiation, US government shutdown, and divergence in economic outlook between the US and the rest of the world. Technically, gold price has entered consolidation phase since its price peaked at US$1,321 at the end of January. Immediate support level can be found at around US$1,301 (SuperTrend 10,2) area. A breakdown below US$1,301 could open room for more downside towards the US$1,286 area. Brent Crude oil prices is ranging at around S$61-63 for the past few weeks and fresh catalysts are needed to break this deadlock. 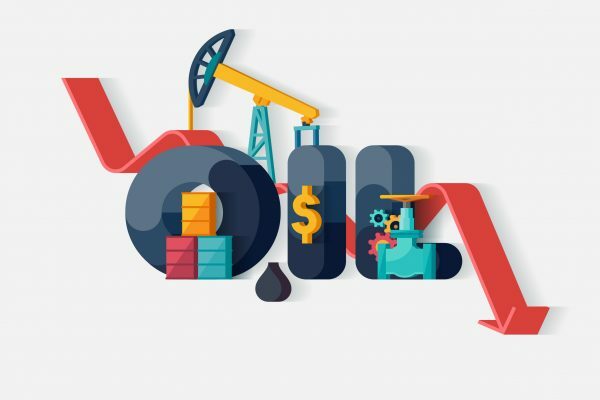 Venezuela issue, OPEC+, US shale oil production are dominating the supply side whereas energy consumption in the US, China, India are dominating the demand side. Traders will pay attention to this Wednesday’s DoE Crude oil inventory report for clues of any shift in the supply-demand relationship. US equities were mixed last night, and the S&P 500 index is largely consolidating at around the 10-Day Simple Moving Average line at 2,710 area. Top of the agenda this week is trade talk held by Chinese vice-premier Liu He and US trade representative Robert Lighthizer in Beijing this week. Concern remains on whether there will be a major breakthrough to remove or postpone the 1st March deadline on further tariffs. Besides, the US Fed government is facing the risk of shutdown this Friday, if Mr Trump and the Congress are unable to reach an agreement on Mexican border wall budget issue. Risk appetite is contained for above-mentioned reasons. Asian markets are starting the week on a cautious note ahead of new round of trade talk between US and China. Due to the complexity and difficulty of trade issue over technology, intellectual property and security disputes, markets are probably not putting too much hope on the trade talk to yield a major breakthrough. What really concerns us is whether the tariffs deadline can be removed or extended beyond 1st March, because that will bring material impact to growth and earnings. The Straits Times Index is struggling to break a key resistance at 3,200 points amid soft US market performances, falling crude oil prices and reignited fear about US-China trade war. A substantial rally in the Greater China markets yesterday helped to lift sentiment across the board and brought the STI back to breakeven at market close. For the STI to break out 3,200 points we need to see positive earnings surprises this and next week, in particular three banks, Singtel, CapitaLand, SIA and several others. CMC Markets is a global CFD and forex provider. It is regulated by the Monetary Authority of Singapore and holds a capital markets services licence for dealing in securities and leveraged foreign exchange, and is an exempt financial adviser.